Fashion Over Reason: No dwelling for miss P.
No dwelling for miss P.
Although Prada has discontinued Sasha P. as the face of the brand (replaced by Linda Evangelista, go figure...) she clearly hasn't been moping around! 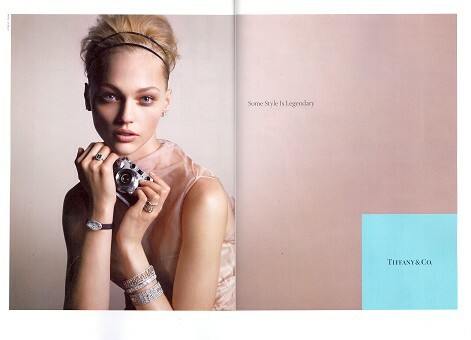 She makes her presence heard in the new Tiffany & co campaign and she looks truly stunning. This girl is so photogenic, it kills me! She joins Lily Cole, Liya Kebede and Shalom Harlow.